Cooperation agreement signed with Banyan Tree Corporation over sole distribution of Banyan Tree Residences at Laguna Lang Co.
Smartrealtors and Partners has signed a cooperation agreement with Singapore’s Banyan Tree Corporation on August 28 to become the sole distributor of Banyan Tree Residences. Banyan Tree Residences is part of the Laguna Lang Co project in central Thua Thien Hue province. 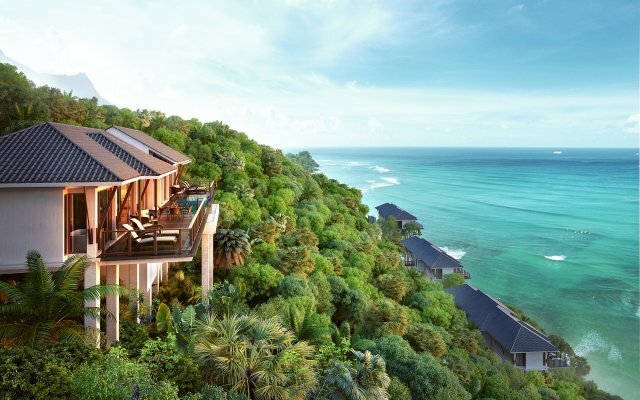 Villas, from one to three-bedrooms, are perched from 25 to 86 meters above sea level, with the elegant Banyan Tree hill villas offering breathtaking panoramic views over the unique crescent bay with soaring mountains as a backdrop. Each villa’s living space is awash in natural light and harmonized with the tropical surroundings. Featuring a series of locally-inspired arts and furnishings, the design of each pays homage to the skills of Vietnamese artisans. Mr. Gavin Herholdt, Managing Director of Laguna Lang Co, said the collaboration between the Banyan Tree Group and SmartRealtors and Partners was set up to maximize the benefits to each and expand and improve business efficiency while enhancing the project’s competitiveness. “Smartrealtors and Partners became the exclusive distributor of the project thanks to the prestige and quality the company has built over past years,” he added. Mr. Dang Quoc Viet, General Manager of Smartrealtors and Partners, said it is committed to bringing quality projects to owners. As the first and only resort project of the Banyan Tree Group in Vietnam, Laguna Lang Co is an international-standard resort within the network of luxury resorts owned by Banyan Tree worldwide. Laguna Lang Co’s Phase 1, with investment of $285 million, comprises both Banyan Tree and Angsana hotels, an 18-hole championship golf course designed by Sir Nick Faldo, luxury private villas and residences, convention facilities, recreational activities, and beachfront land for six more hotels as part of the 280-ha project. Existing infrastructure, including transportation, electrical, water, and environmental management systems will facilitate the rapid development of Phase 2 and future phases. The project expansion from 2018 to 2022 will see investment capital increase from $875 million to $2 billion and includes international-scale casino operations. Laguna Lang Co was recently issued a casino license by the Vietnamese Government; the first to be issued in a decade. It welcomes world-class casino operators and investment partners to join in the next exciting phase of the integrated resort development.